Koi fish are a domesticated variant of the common carp and have been around for thousands of years. Carp are a cold water fish that can survive and adapt to many climates and water conditions which facilitates their propagation to new locations. With proper habitat, they can grow up to three feet in length and easily live 25-30 years or more. They were originally found in Central Europe and Asia but are most frequently associated with Japan. This may be because they were largely unknown to the outside world until a Tokyo exposition in 1914. Carp were first bred for food but color morphs were later selectively bred resulting in the beautiful diversity that we see today. There are currently over 20 different varieties of Koi fish. The carp has been revered for thousands of years, often represented in stories as a symbol of perseverance. In Japanese culture, they symbolize wealth, prosperity, love, a successful career, and good fortune. 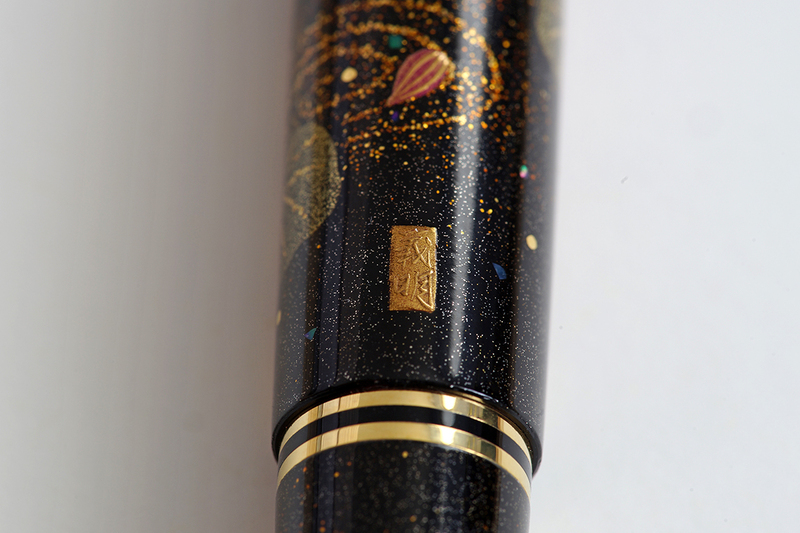 One ancient legend of the Koi stands out and Pelikan highlights it in the promotional materials for their 2015 Maki-e release, simply titled Koi. 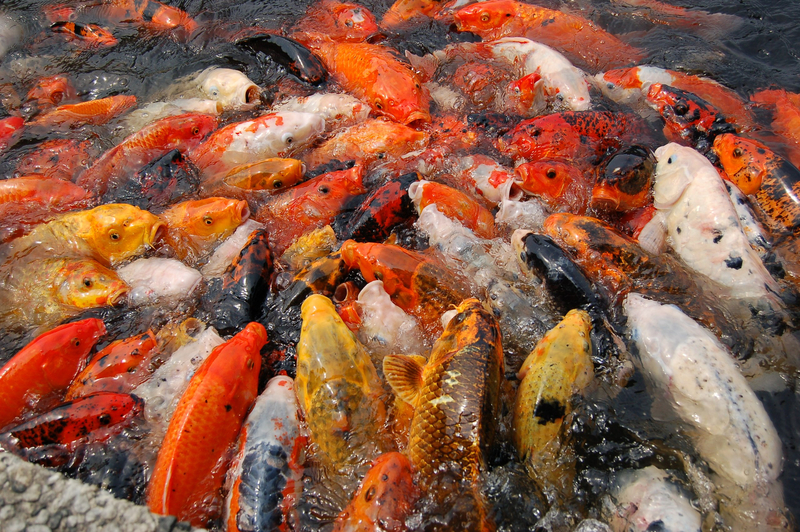 An ancient legend tells of a large school of golden Koi that swam upstream in the Yellow River of China. They gained strength battling the current and shimmered in the light like beautiful golden jewels as they swam together up river. The group of Koi arrived at a waterfall and many turned back, letting the flow of the river carry them away. The remaining Koi would not be deterred and attempted to reach the top of the waterfall but struggled in doing so. They strained and leapt, splashing back into the water. This splashing drew the attention of local demons who saw their effort and mocked them by maliciously increasing the height of the waterfall. Undeterred, the Koi continued on until, after 100 years of jumping, a single Koi finally reached the top of the waterfall. 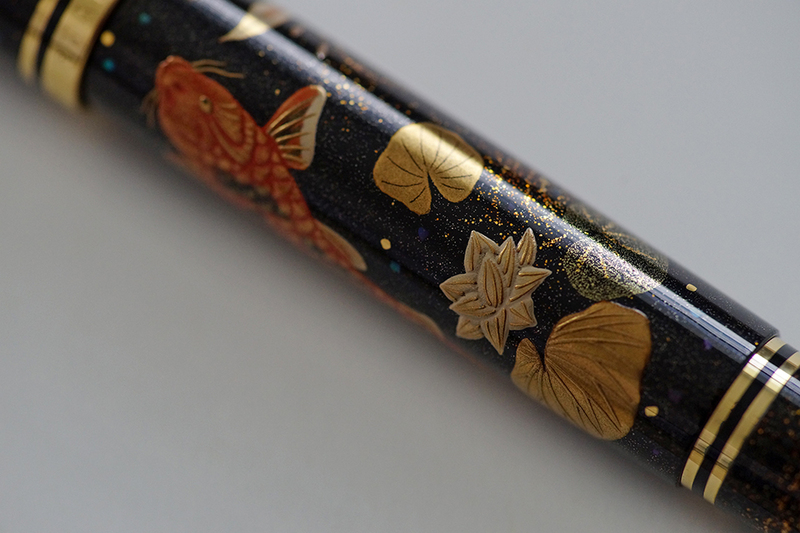 The gods recognized the exhausted Koi for its perseverance and determination by turning it into a shining golden dragon, the embodiment of strength and power. That waterfall became known as “Dragon’s Gate” and the story teaches us that with perseverance and determination can come great reward. 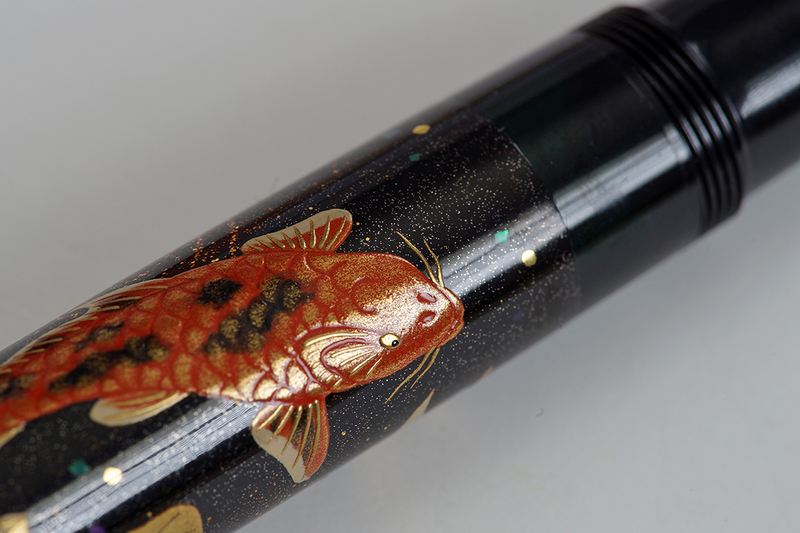 The Koi is a breathtaking pen and, while not cheap by any stretch of the imagination, it is somewhat more affordable than other Maki-e releases. 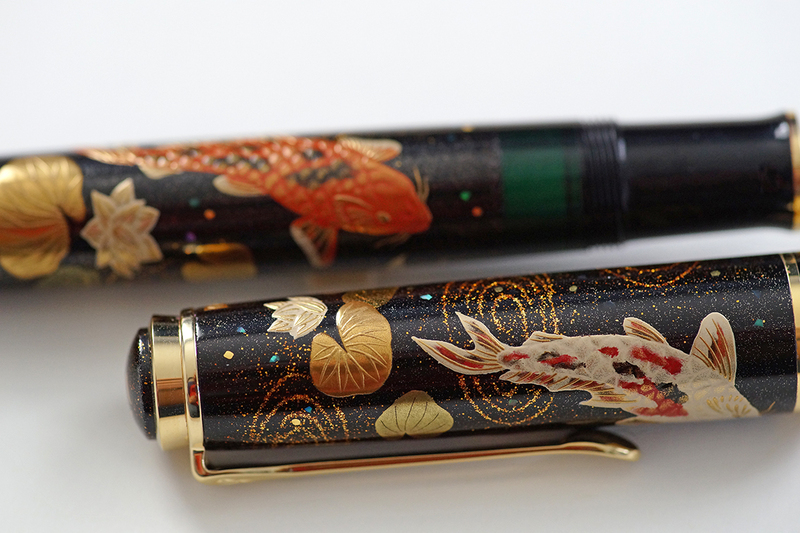 The craftsmanship that went into the pen is awe inspiring. 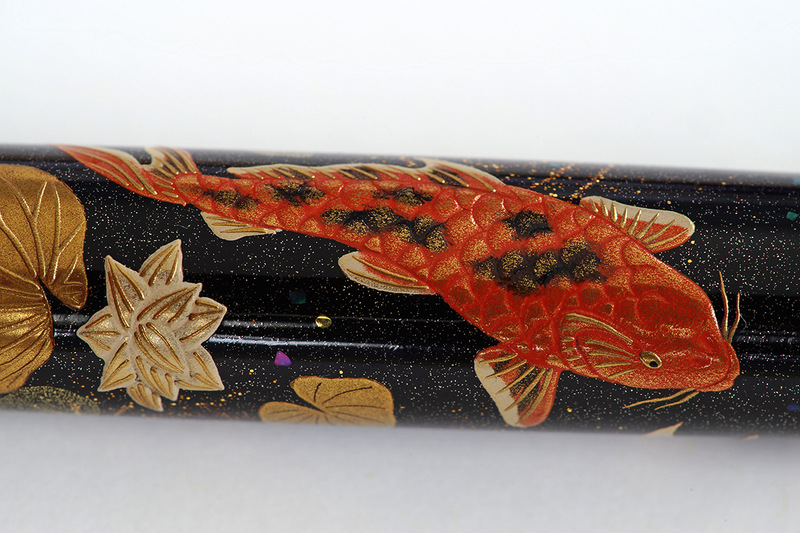 Two prominent Koi are depicted, one on the cap and one on the barrel with a third Koi shown diving underwater though is overall less pronounced. 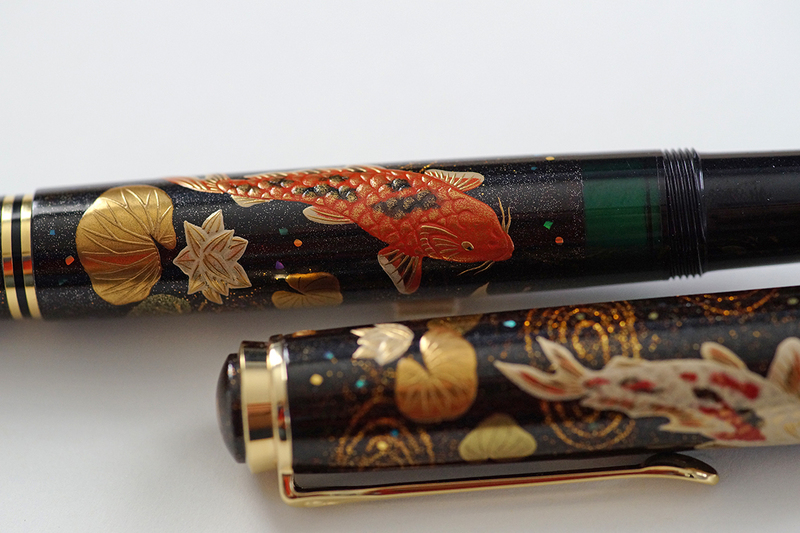 I believe that these depictions are more of an artistic representation of Koi rather than based on any actual variant. There are stylistic elements of red and white lotus flowers, lotus leaves, and pond ripples. 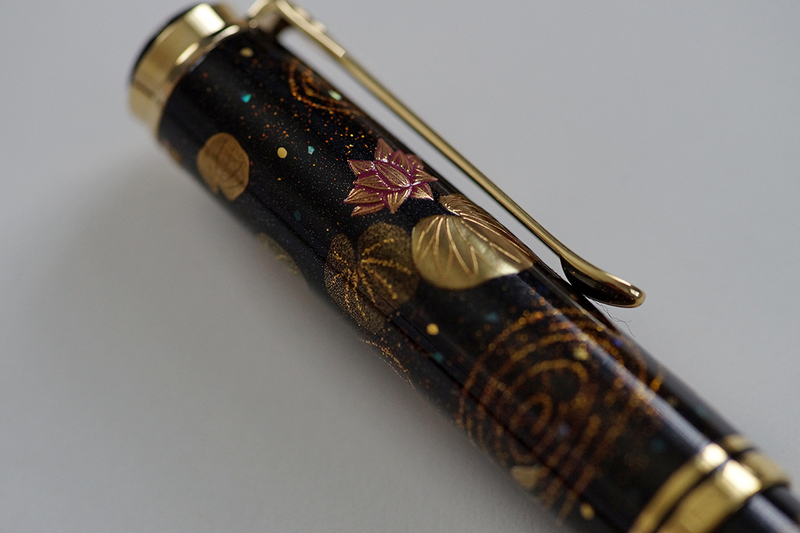 In addition to these details, gold dust is applied throughout the pen. 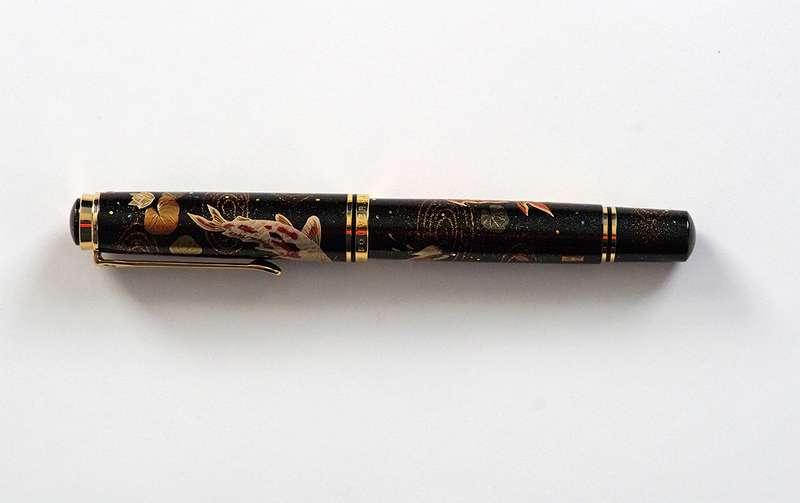 The Koi have a tactile feel and the scale work is masterfully executed. Having seen a few examples, no two are exactly identical. 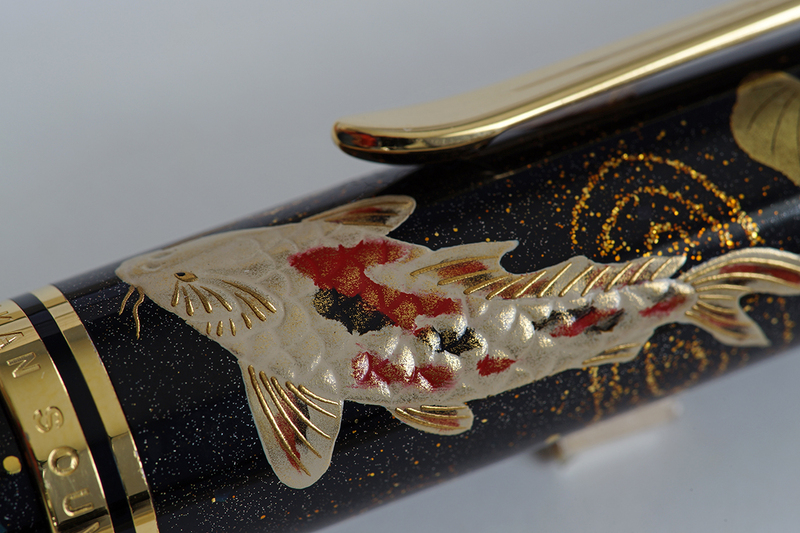 The word Maki-e literally means “sprinkled picture.” According to Pelikan, the technique for the Koi fountain pen employs Kaga Togidashi-Taka Maki-e. Kaga Maki-e is a process of painting with gold, silver, and mother-of-pearl on the surface of lacquerware. These are art pieces, painstakingly hand crafted, and highly esteemed. 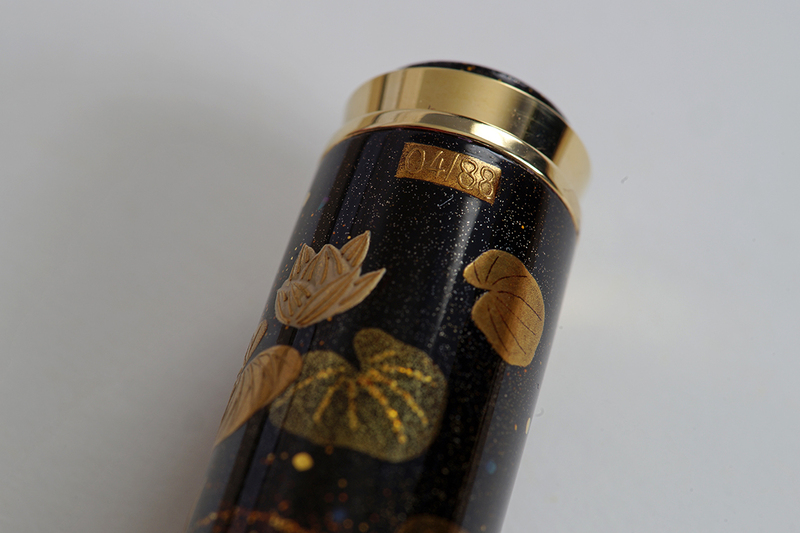 Togidashi Maki-e refers to a burnished or buffed design. In the 8th century, the available gold was coarse and did not have much of a luster. 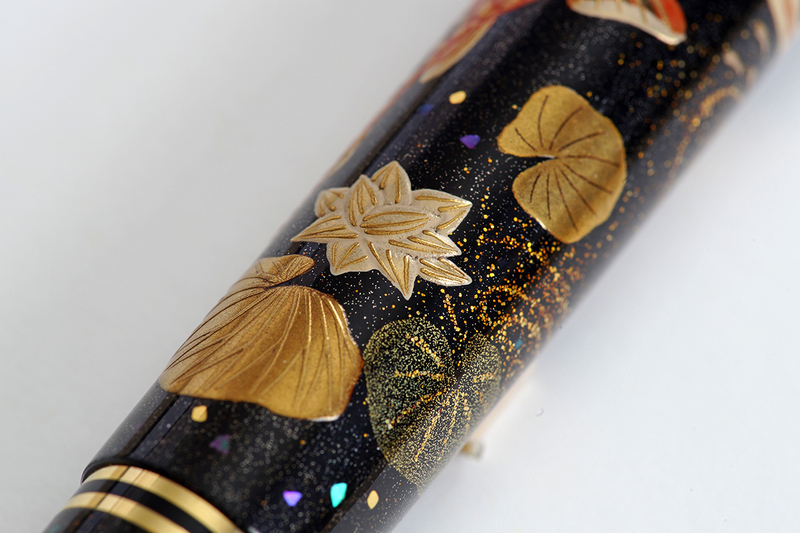 An extra step was added where a thin layer of lacquer was applied after scattering powders and then shaving the surface with charcoal until the gold or silver appeared. This technique brings out the luster of the gold. Taka Maki-e utilizes a raised design. Various methods are used to raise the area where the powdered gold is scattered. Compared with other Maki-e techniques, three-dimensional works of art are possible though labor intensive. These techniques embody some of the highest forms of Maki-e work. 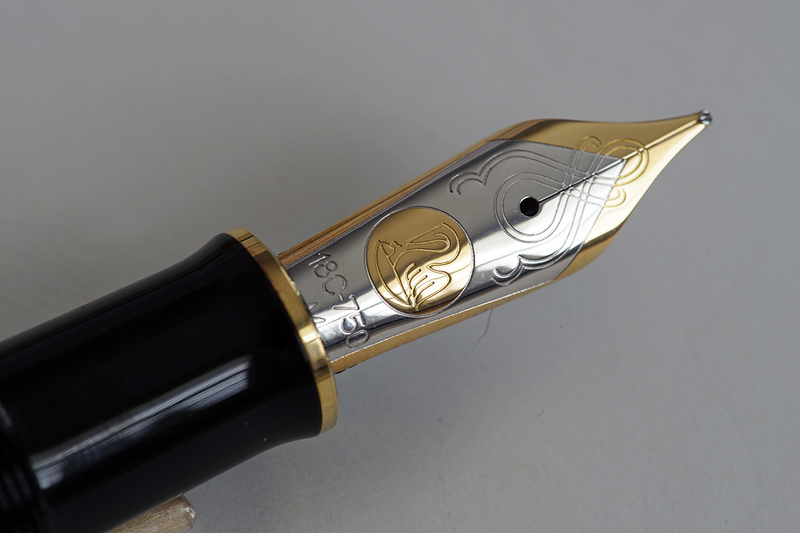 A short film depicting the making of a Pelikan Maki-e fountain pen. Just wow. Thanks for posting this, Joshua. Glad that you enjoyed it. 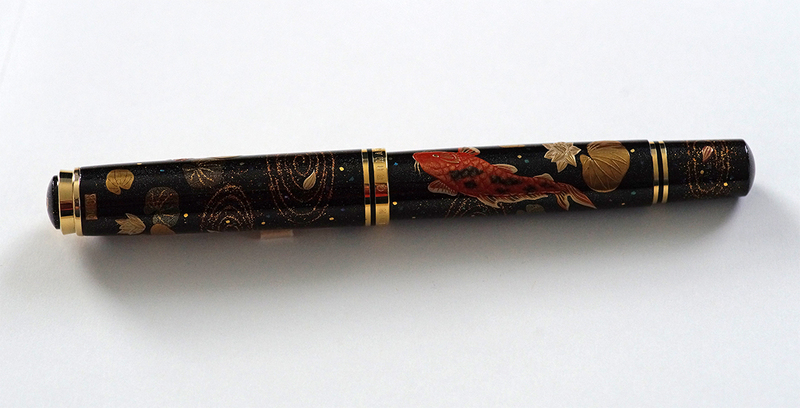 Quite a stunning pen to behold as are most of the Maki-e releases. 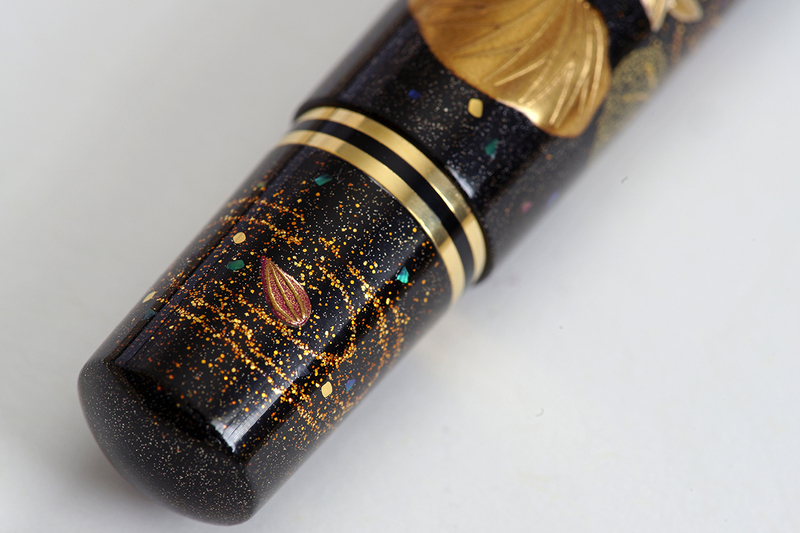 Could be a new Grail pen, it is absolutely stunning! Thank you Joshua. Grail indeed. Once I completed my grail quest for the Toledo, the Maki-e filled that role. My Toledo is on the 2018 list. The Gaudi and Maki-e will be…? One day though. All are great pens that I’ve been fortunte to own. Good luck on acquiring them one day. They are worth the chase. Thanks! It was fun to photograph. It is my pen in the photograph. I was fortunte enough to get a good price. Hopefully you’ll be able to add one to your flock some day. Pretty pen, thanks for the photo spread, most of the promo photos I have seen have not done a very good job of showcasing the detail. Makes clear why the Japanese often refer to Koi as living jewels. I was wondering if you might comment knowing your affinity for Koi. 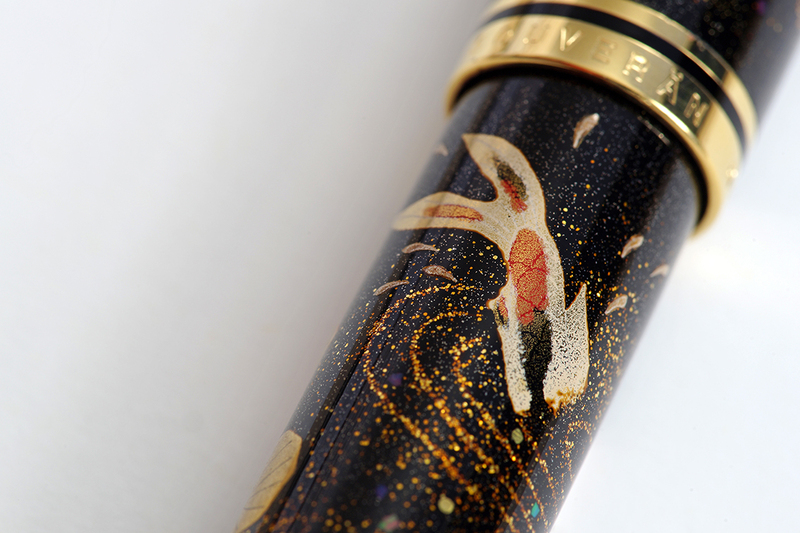 I agree, Pelikan spends a bit too much time on backgrounds and not enough on the pen itself. 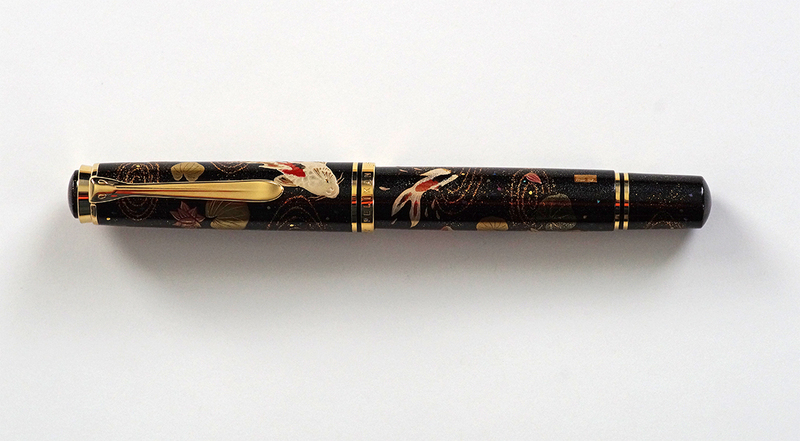 The product shots frequently don’t do the pen justice which is a shame. 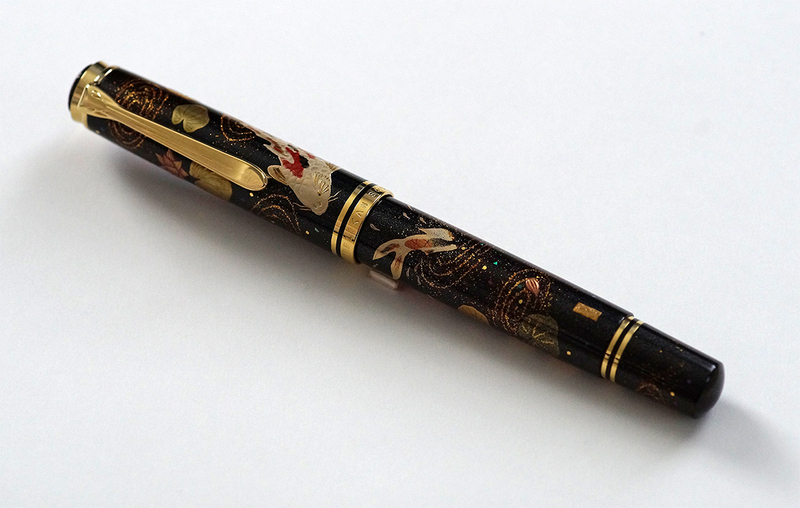 Such a beautiful pen. Curious what ink you pair. Year of the ink, smoky quartz, would look fabulous? I ink all my pens. But if I ever own a Maki-e. I might actually not ink it. The whole pen is an art piece. I have never been one to match inks with a certain pen so, for me, anything is fair game. 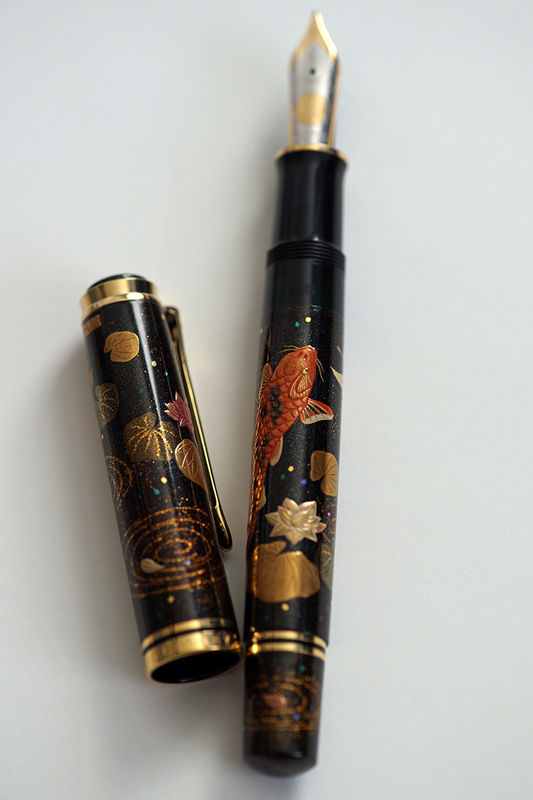 Given the colors of the Koi and the spirit of the pen, I would think an orange or red hued ink would be fitting. Oh. My. God. That is the most beautiful artistic process I have ever witnessed. Wouldn’t I love to have a pen that I watched them make! You are very lucky, Joshua! 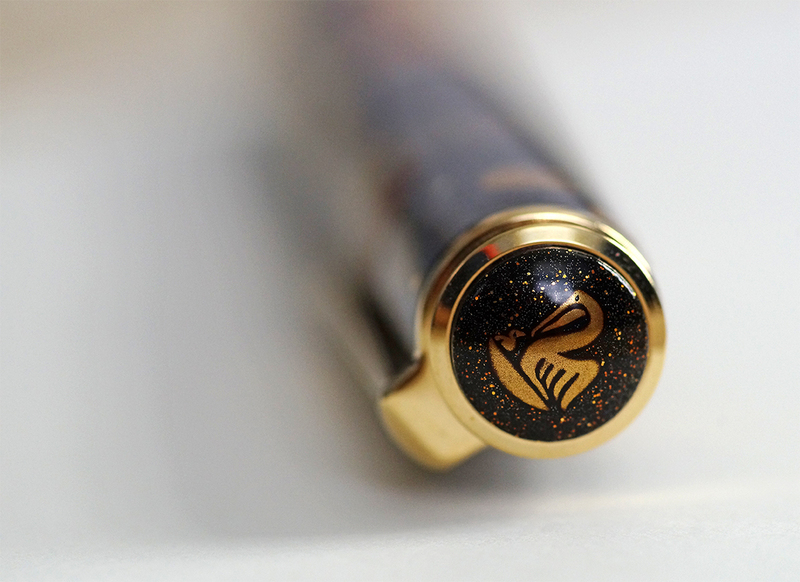 Someday, maybe I’ll own a Pelikan Maki-e. Now that I understand all the work that goes into one, I am way more appreciative of the process. It makes owning one of these a grail endeavor, to be sure. The Maki-e artists really are a skilled lot. The video does give you an appreciation for the work and when you see the final product knowing it was all done by hand, its that much more special. 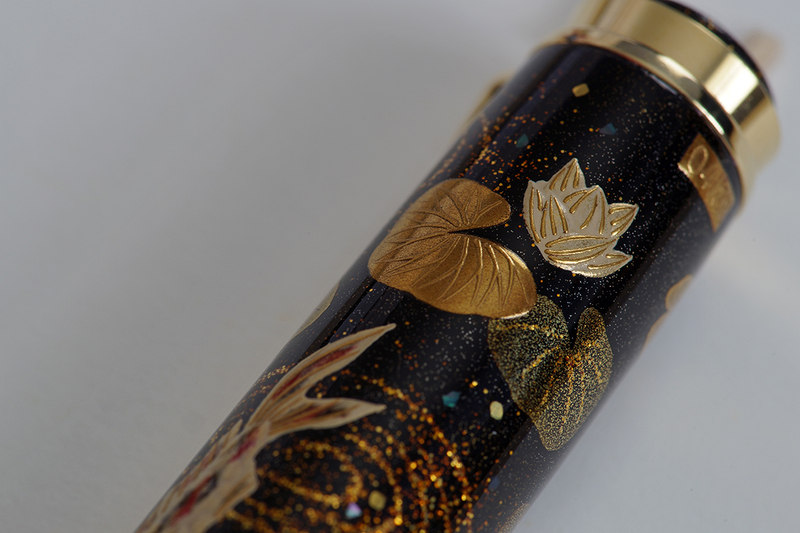 I think the Maki-e, Raden, and Toledo lines, all finished by hand with such intricacy, stand as very worthy grail pens for anyone. Haha. After looking at your site, I think that you might be a touch biased. Well, just a touch 🙂 but honestly the quality looks incredible! the maki-e work is lovely. this is a piece of art. I love when form and function come together. A piece of art that still writes amazingly well. Win-win. Thanks for sharing. I haven’t seen a diorama since grade school.